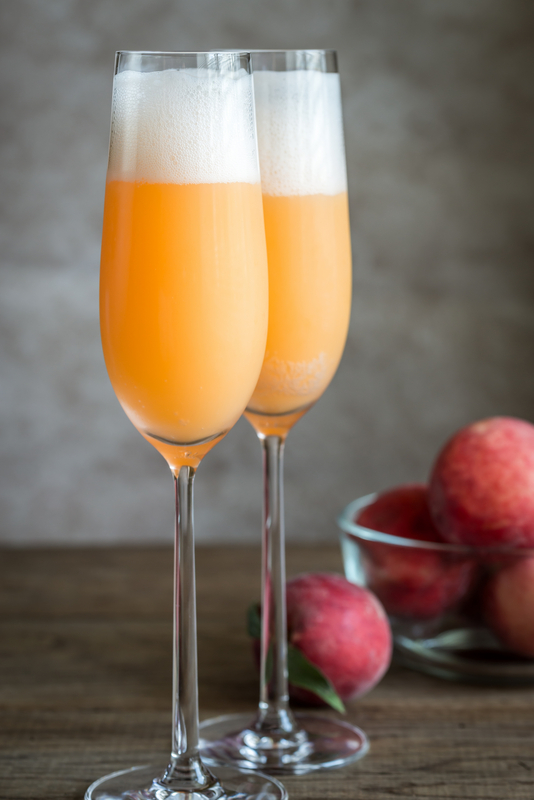 Combine peaches and nectar in blender, then blend until smooth. Put about 2 ounces peach mixture in a stemmed glass. Fill glass with Champagne to taste. Repeat. You may have some peach mixture left. You can refrigerate the leftover mixture in a sealed container for one week. Posted to EAT-L Digest by Leslie Duncan on Nov 19, 1997.